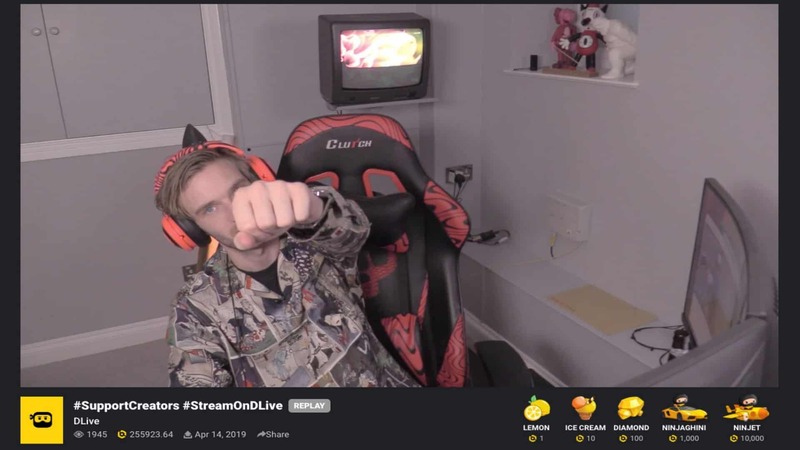 PewDiePie kicked off his first official DLive livestream yesterday. Over 80,000 concurrent viewers tuned-in to watch PewDiePie support content creators, where he visited 42 streamers and donated over $28,000 in LINO points. You can check out some highlights from his stream below. “I remember when I was a small YouTuber, having even a few more people watching you made such a difference and made you so excited, so it’s really cool to be giving that to other people. Cuz I know what that feels like when you’re trying to make it in this sphere where its so hard to get noticed and any sort of boost means so much.” – PewDiePie, during his first stream on DLive. Last week DLive and PewDiePie announced an exclusive partnership where the world’s largest YouTuber will livestream exclusively on the blockchain video platform. You can read more about DLive’s partnership with PewDiePie here.